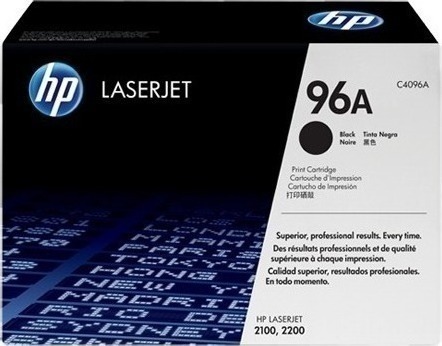 Printer Consumables :: Toners :: HP 96A Black Toner C4096A 5k LaserJet 2000 / LaserJet 2100 / LaserJet 2200. Αρχική/Printer Consumables/Toners/HP 96A Black Toner C4096A 5k LaserJet 2000 / LaserJet 2100 / LaserJet 2200. HP 96A Black Toner C4096A 5k LaserJet 2000 / LaserJet 2100 / LaserJet 2200. HP LaserJet 2000 / LaserJet 2100 / LaserJet 2200.